Low Cost Postage! $6 Standard Postage ($10 Express Post option) FREE Postage for orders $40 and over! Note that this is a Casting Rod version of our ultralight, recommended for Baitcaster reels only. If you aren't sure which rod you need, then it's likely you need a spin rod, not a casting rod. We offer two styles of our ultralight rod, the casting version is designed, suited and recommended for baitcaster reels only. 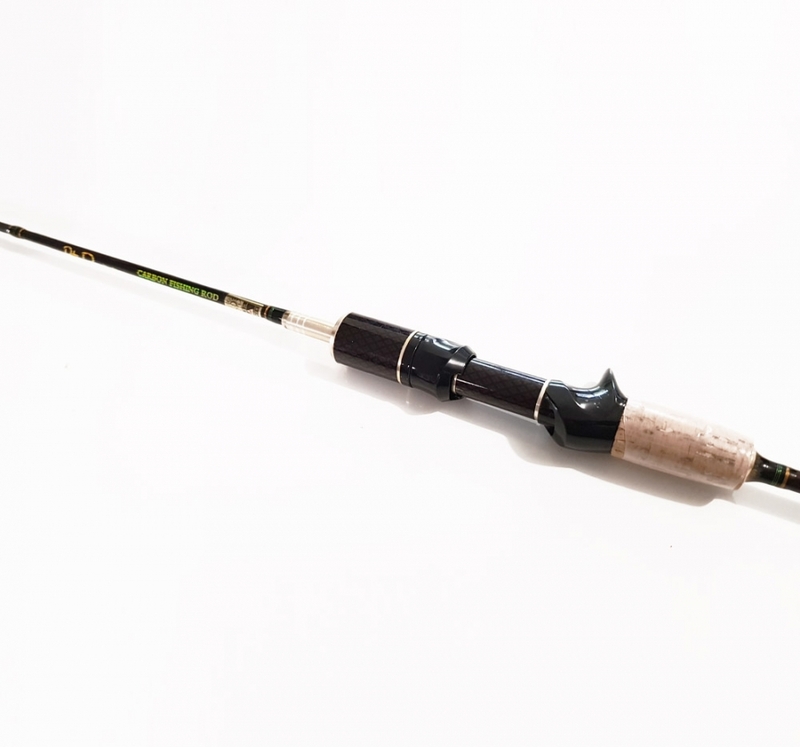 Hence this rod is more for highly experienced fishers who are familiar with using a baitcaster reel, or for someone looking to use baitcaster reels instead of the standard common spin-reel. 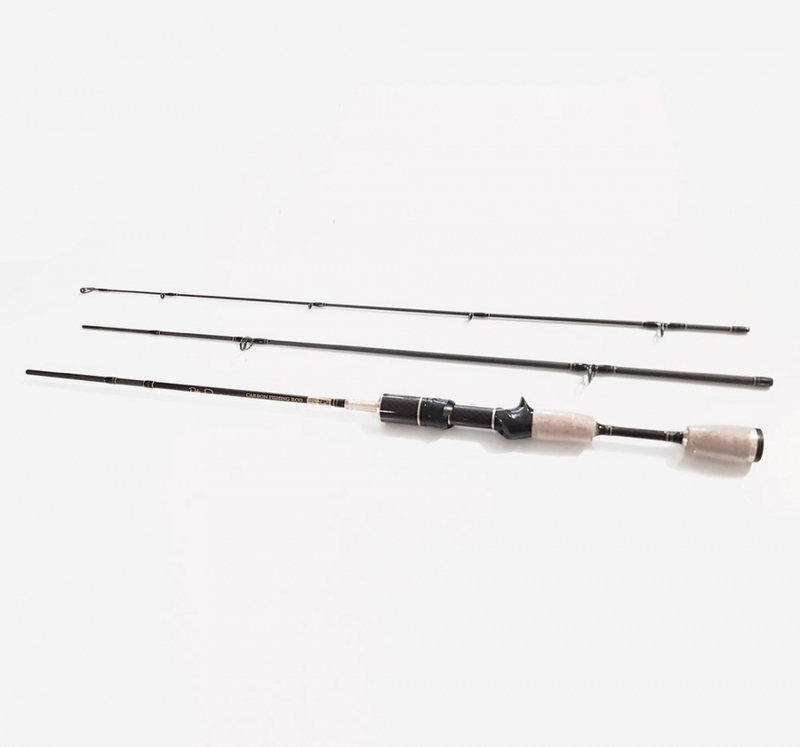 The rod is a 1.8m total length 3 piece set up, making it easy for transportation, along with great strength and lure ability. 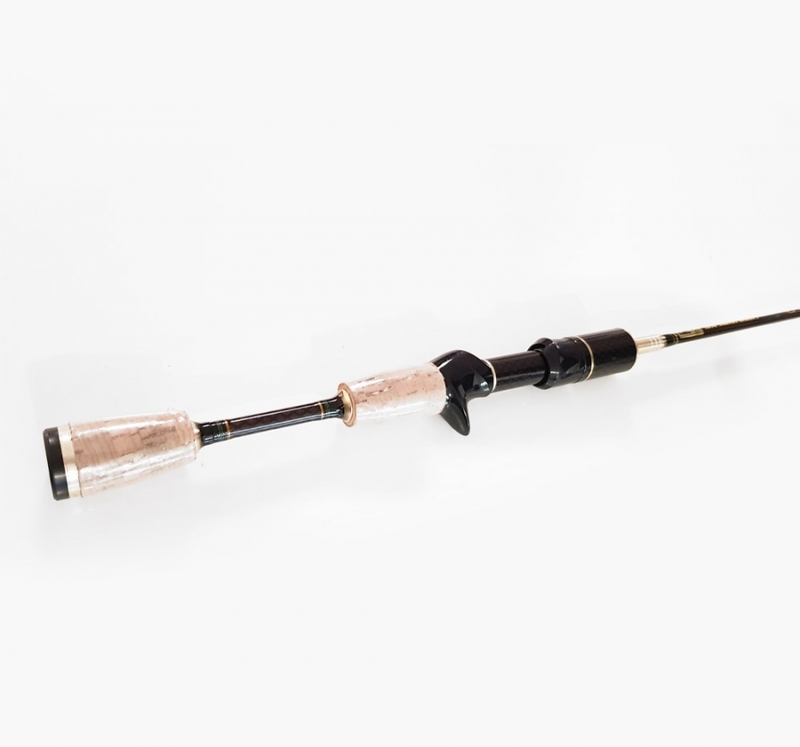 The major benefits of this type of fishing rod compared to a regular rod is it can handle extremely low weight fishing lures and has a good maximum lure weight of 10 grams. This rods Rated Lure Cast Weight is 0.8 grams to 5 grams, however this rod will accept any fishing lures from 0.8 grams in weight right up to 10 grams without a problem. 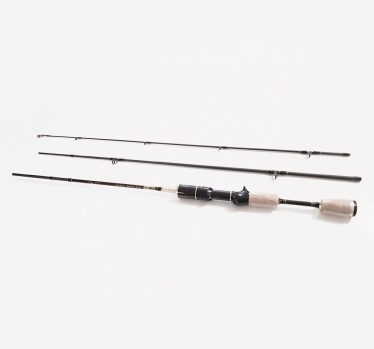 The rod is carbon (graphite) and designed for use with trout, redfin and bass fishing. The rod is extremely light weight with a total of only 100 grams. The handle is comprised of metal and cork. Appearance should exceed expectations when viewing the photos on the website, this is a really well made and nice looking high quality rod. Will accept all spin reels we offer, along with most on the market elsewhere. NOT suitable for spin reels, baitcaster reels ONLY. Monofilament: Our range of size 1 monofilament fishing line is suitable for this rod and has a very high weight rating for its size, making it perfect for most redfin, trout and bass you may encounter. Braided Line: If using a braided main line, then we recommend using our 0.4 range specifically for this fishing rod and other ultralight rods. If buying your line elsewhere, just aim for the thinnest line possible and ensure it has enough strength for your target fish, any very thin line that can handle 2.5kg or more is well suited for most trout and redfin, however ideally in the event of larger or stronger fish a 4kg minimum should be safe. Have you previously purchased this product? If so, we would love to hear your opinions. To contact us and send a product review, please Click Here. © 2019 Ultimate Fishing. All Rights Reserved. | A.B.N: 15 400 412 560 | Always follow state / territory fishing regulations and ensure you are licenced for recreational fishing.